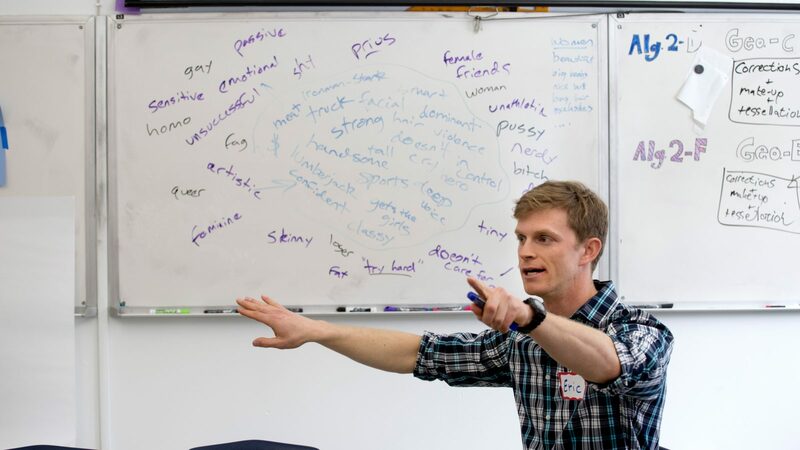 Man Up and Open Up’s 60-minute conversations center on our society’s idea of what it means to be a “real man,” and aim to use peer to peer discussions to expand that definition. These facilitated discussions question participants’ assumptions of masculinity, unmask gender pressures and privilege in our society, and build in younger students a critical consciousness of gender media messages while linking gender pressures to sexual violence prevention with older students, all so that students can reflect on their own attitudes and better empathize with those in their local school, team, or community and the diverse global society beyond. What is Man Up and Open Up? Learn more from this video!